Follow US-101 S to Central Expy in Mountain View. 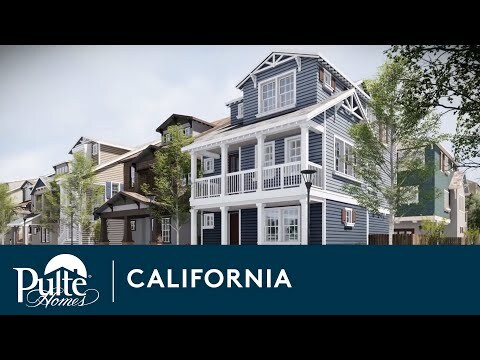 Radius is a charming new home community with single family homes and townhomes in Mountain View. This neighborhood offers great proximity to major high tech employers in Silicon Valley, including Google and Apple. Homeowners are also conveniently located near the Caltrain station and Whisman Light Rail, and are within the sought-after Mountain View school district. *The onsite sales gallery is permanently closed due to adjacent construction. Please call for an appointment. The life you want to live is waiting for you at Radius. Explore this community and see for yourself. The Towns Plan 1 offers a plethora of space and amenities including a large second floor gathering room and corner kitchen. The Towns Plan 2 offers three bedrooms with an open-concept living floor that includes a corner deck and powder bathroom. The Towns Plan 3 features four bedrooms, and a spacious second floor with a large kitchen island and two outdoor decks. The Villas Plan 1 offers a multitude of space and amenities within three floor, including a first floor bedroom and bathroom. The Villas Plan 2 offers three bedrooms with a first floor den that can be upgraded into a fourth bedroom with a bathroom. The Villas Plan 3 is the most spacious floor plan at Radius, featuring a large gathering room and spacious owner's bedroom. Towns Plan 2 Model Home For Sale! Quartz Countertops throughout the Home. Towns Plan 3 Model Home For Sale! Homeowners at Radius are surrounded by an abundance of entertainment and amenities, including the Shoreline Amphitheater and Mountain View’s thriving downtown. Residents will also enjoy local recreational activities at Shoreline Park and hiking at Rancho San Antonio Park. Located in the heart of the Silicon Valley in the city of Mountain View, Radius offers close proximity to parks, transit, and the quaint downtown district. Silicon Valley and San Francisco Bay area are a short drive away. Venture to the Pacific Ocean, the Delta, Yosemite and Lake Tahoe, accessible with Highway 237, I-85 and I-101. Experience live music at Shoreline Amphitheatre or watch the '49-ers play at Levi’s Stadium, only a short drive from your home at Radius. The onsite sales gallery at Radius is closed due to adjacent construction in the community. Please call for an appointment with the sales team.